It is the time to enjoy life! To party! To eat great food! And fully experience Hamburg! There surely would not be a better place than the heart of the city: Welcome in “Kaispeicher B” – one of Hamburg´s most impressive locations! 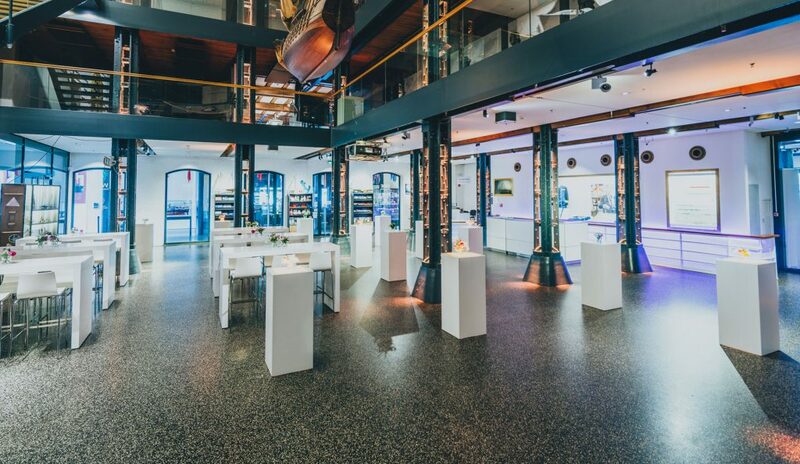 Here you will find everything that warms your heart: Two northern German restaurants, five flexible event locations and a touch of culture in the “Maritime Museum” – Hamburgs finest under one roof. You wonder what Hamburg tastes like? Experience Hanseatic food at one of our restaurants at Kaispeicher B! Whether you’re looking for local specialties, fiery BBQs, enormous Sunday brunches or a quick snack: We have it all! 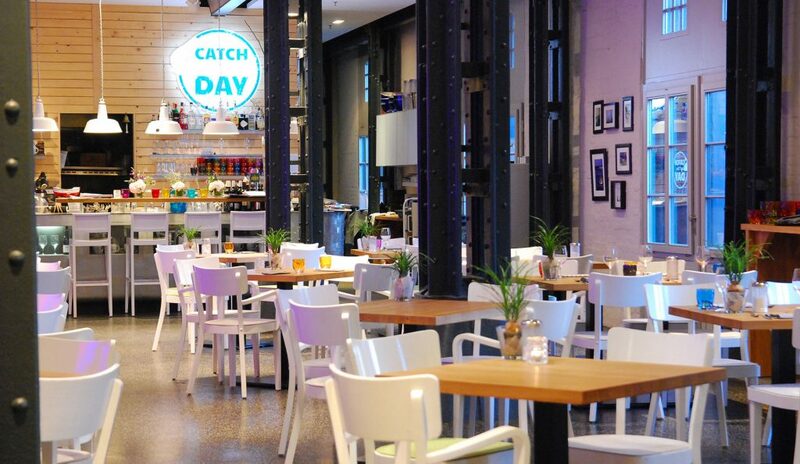 Enjoy the finest local recipes in our fish restaurant “Catch of the Day”. 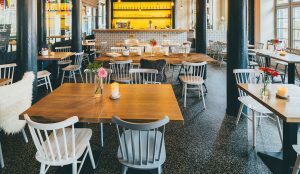 Then again, if you rather feel like having a delicious piece of cake, accompanied by a good coffee or maybe a nice glass of wine before attending a play in the world renown Elbphilharmonie, then you will love our café and bar “Alte Liebe”. We will serve you the best catch of the day along with great treats, a whiff of creativity, a touch of tradition and a big portion of love – Always at your best service! 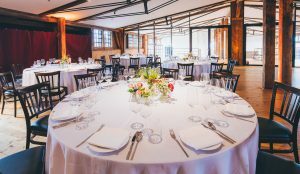 And when eating great food isn´t reason enough to celebrate, let´s think of a few more options for you: an engagement, a lavish birthday party, the closing of a successful business year or the presentation of a new product. We offer the perfect location for your event. The Kaispeicher B! 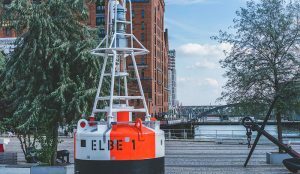 It is one of Hamburg´s most impressive, beautiful and historic buildings, and it even has its own jetty. Whether you aim for a private party or you need to plan a business event, we can guarantee you unique and incredible moments with us. Do you want to sip on some champagne with your loved one on our terrace? 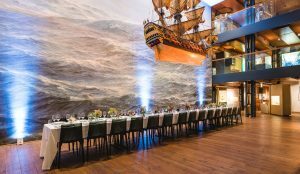 Do you dream of an amazing birthday party in the “HafenCity” of Hamburg? Or would a cozy Christmas party in the lounge of the “Alte Liebe” be just your thing? You have the occasion and we have the location. At the “Kaispeicher B” you can enjoy all kinds of private and business events. Do you need the full package? No problem! With more than 25 years of event experience, we will help you spend an unforgettable night. Together with you, we will create the perfect event concept down to the very last detail: from culinary, music, technology and decoration. The “Kaispeicher B” is one of the oldest well-preserved buildings in the harbor of Hamburg and surely is one of the most impressive buildings you will find in the modern “HafenCity” Until 2003 the building was used as a storehouse, fortunately, today it serves as an absolutely unique event location. Near the legendary Elbphilharmonie concert hall and the harbor of Hamburg, you can feel a deep connection between history and modernism. To dine and drink here, promises unforgettable moments.